Cabinetry with an Arts & Crafts/Shaker style for a house that wasn't really Arts & Crafts, but wished it was. Rift sawn white oak was used throughout. 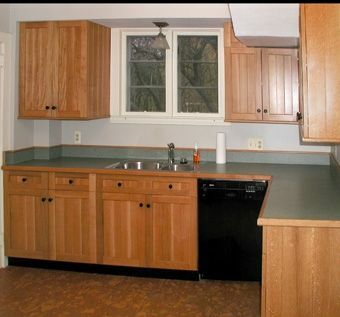 Countertops were laminate with oak edging. 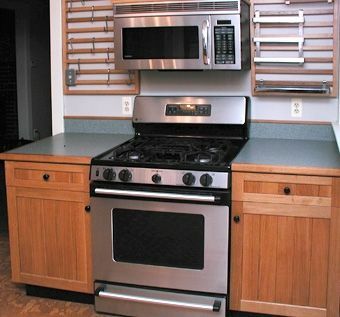 An oak and stainless steel pot grid was installed to the walls adjacent to the stove. Cork flooring. All drawers and lower shelves were hung with full extension undermount drawer slides.